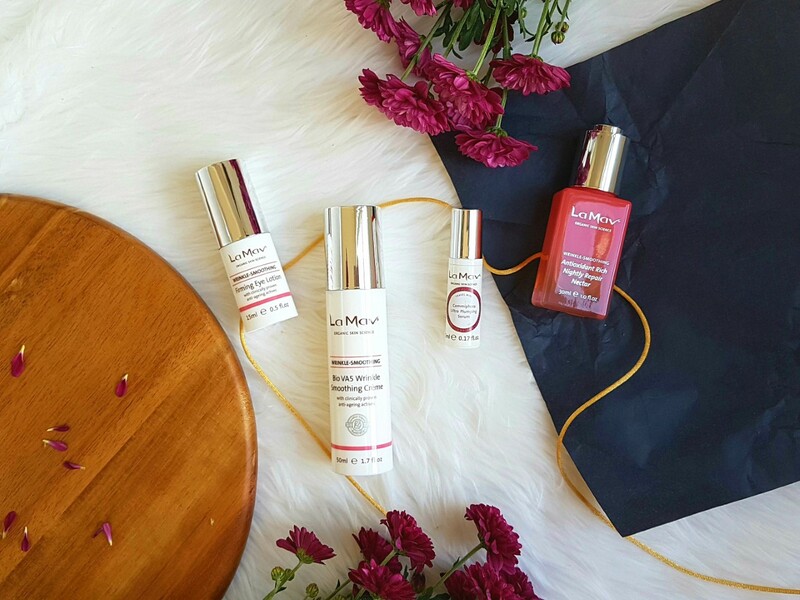 La Mav Organics is an Australian brand, founded by one of the most intelligent and genuine women I have come to know - Tarj. 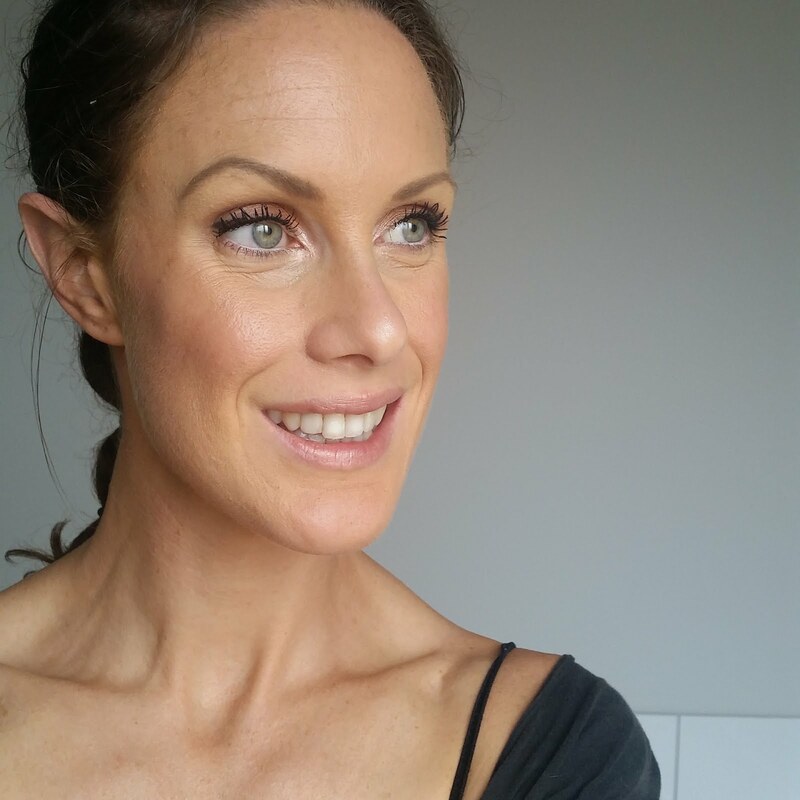 With knowledge of incredible skincare plus a thirst for ultra clean and effective non oxic skincare and make, Tarj is a business woman who knows what a woman wants and needs. La Mav has been a brand I have used for over 2.5 years since converting completely to non toxic skincare and make up. I initially felt very drawn to the brand, not only because it is Australian and holds incredible integrity, but the diversity of each collection and the range on offer is expansive, versatile and rich in quality ingredients. It truly works and there is yet to be a product from the La Mav range I don't feel is worthy of recommending. 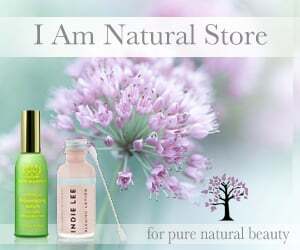 One of my favourite collections and one I confidently recommend is the Anti-Ageing Organic Beauty Kit. All of these products occupy a high concentration of intensely effective ingredients. 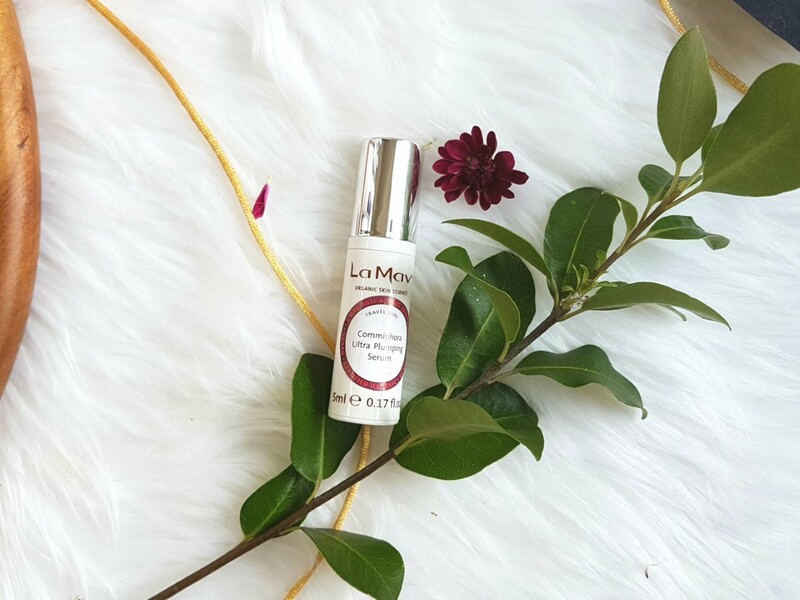 All of the La Mav Moisturizers are beautifully rich and smooth in nature, with an easily absorbable consistency yet thick and robust for ultra hydration. The Bio VA5 Wrinkle Smoothing Crème is no different and truly hydrates, boosts skin elasticity and firmness through its intense concentration of 4 bio-active age defying ingredients - Chlorella Vulgaris Extract, Pisum Sativum Extract, Argania Spinosa Kernel Extract and Cassia Alata Leaf Extract, all of which aid in the protection of cellular DNA from the effect of the sun and support repair from the environmental havoc our skin is faced with daily. - Sweet Almond Oil, Sea Buckthorn Oil, Acai Oil and Bilberry Seed Oil all offering a rich dose of fatty acids to promote and prolong hydration. It is appropriate for all skin types, however is targeted towards mature skin or skin which is prone to dehydration. This crème is a joy to use, I incorporate it into my morning and evening ritual and it leave no residue or a thick clogging sensation which some creams can do. It is creamy, easily applied, beautifully absorbed and the results were absolutely evident. It supported my skin during quite a rough patch of constant virus' and not once did I suffer dry skin or breakouts. Seriously, I am obsessed with the word Nectar....it is so rich and enticing with a hint of glamour. This luxe nectar lives up to its name, it is rich and lightly golden offering a glow upon application. 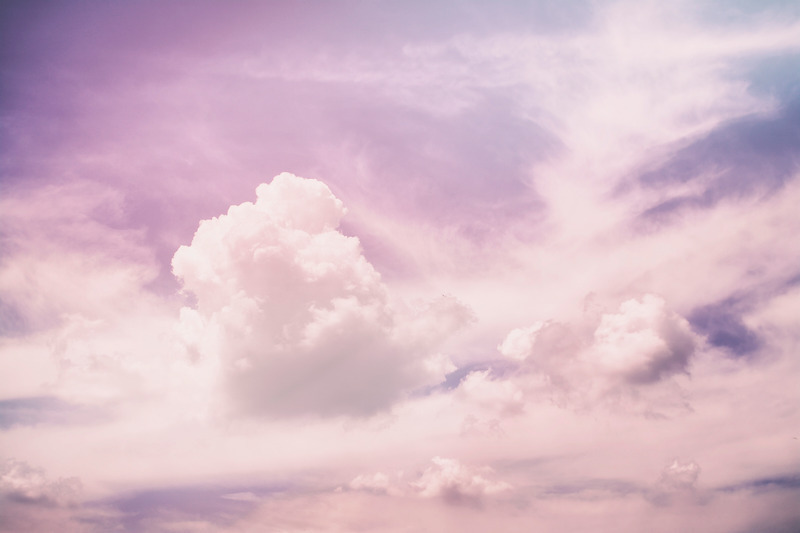 The Antioxidant Rich Nightly Repair Nectar holds a medium viscosity with the need for only 3-4 drops to richly hydrate the skin and shield from the harmful effects of everyday life. It's high concentrations of Coenzyme Q10 and Vitamin E aid in supporting the skin and it's cellular structure in conjunction with eight beautiful Bio-Active organic flower nectars including Rose, Ylang Ylang and Neroli this nectar intensely protects and boosts the skin hydration, locking in all nutrients and restoring the skins appearance of fine lines and stress. In addition to such gorgeous organic nectars, this serum is rich in omegas 3 and 6 which improve firmness, tone and encourage a more plump appearance to the face. 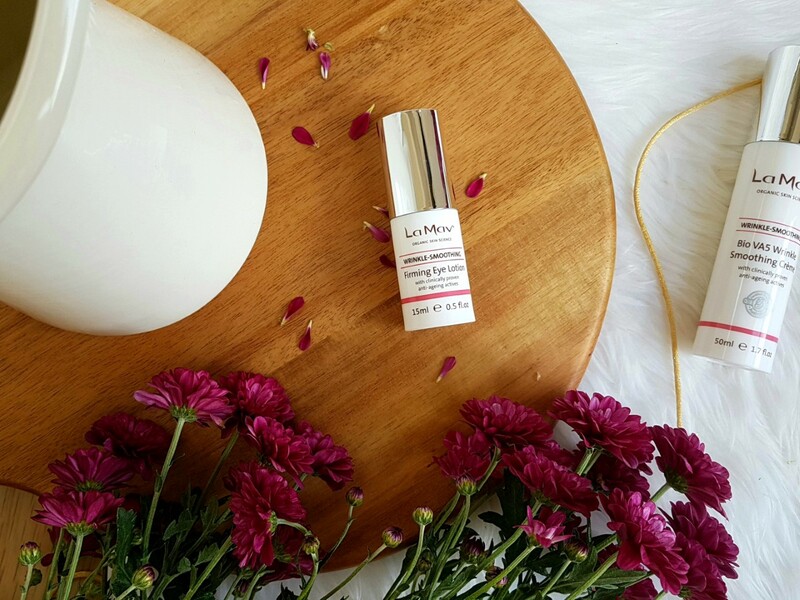 I adore this nectar; it feels lightweight, slightly sticky and nourishing by saturating the skin with high quality and specific ingredients. Again, this nectar absorbs effortlessly leaving the skin incredibly soft and cared for with a matte finish rather than an oily residue. I found this nectar to be highly supportive for my skin, I used it morning and night and it works beautifully under make up, ensuring a dewy finish for the day ahead. My skin retained it's hydration and I can see how this whole range works well to encapsulate the skin in the present moment and preserve it from ageing. I love to use a cream based eye cream in the mornings and this has been a perfect addition to my skincare. It is crafted extremely well and was awarded the "Best Eye Cream" in 2010 by Nature and Health Magazine. It is formulated to intensify the hydration and care of the delicate areas around the eyes. With Hibiscus Esculentus and Pisumsativum Extract it protects the area while injecting properties to plump, firm and repair the skin. Dark circles are reduced through the use of Chlorella Vulgaris Extract, Vitamin C, Aschophyllum Nodosum Extract and Licorice Root extract while Pisum Sativum Extract, Moringa Pterygosperma Seed Extract and Cassia Alata Leaf Extract contour the eye supporting restoration and repair. This is such a soft, hydrating and gentle cream with so much on offer. I noticed no drying around the eye area throughout the day, which can often occur when I wear make up, it is subtle in scent and non irritating leaving it open to everyday use and particularly helpful for sensitive skin types. I noticed less creasing in my concealer under my eyes and a much more plump appearance. Definitely worth trying if you like a cream based skincare routine. This . is . everything! I absolutely adore this serum. It is a thick, dew-like serum with so much vitality! It is potent in nature and aims to boost collagen via it's incredible Bio-Active ingredients preventing signs of ageing and supporting the cellular matrix to prevent the appearance of fine lines and wrinkles. It contains the beauty of Commiphora Mukul Extract and Chlorella Vulgaris Extract which firms and tones the skin, along with Natural Hyaluronic Acid to heighten the moisture levels to retain plumpness. I absolutely love a thick dewy serum and this fits the bill, it makes the skin feel truly moisturized and enriched after use. Definitely a product I would use on an ongoing basis. 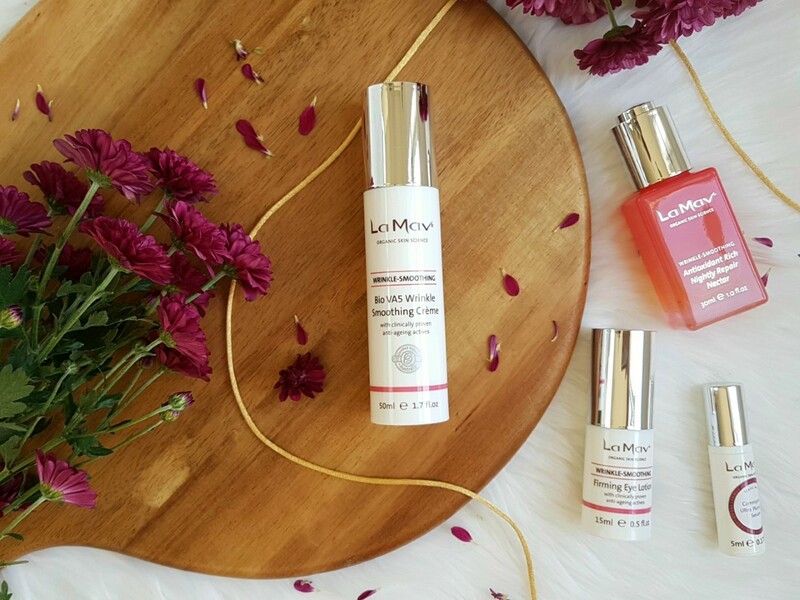 Overall La Mav is truly a stunning skincare range with a lot to offer. It not only works incredibly to retain moisture and the cellular stability of the skin, it also smells, feels and applies effortlessly with a truly luxe feel to it. 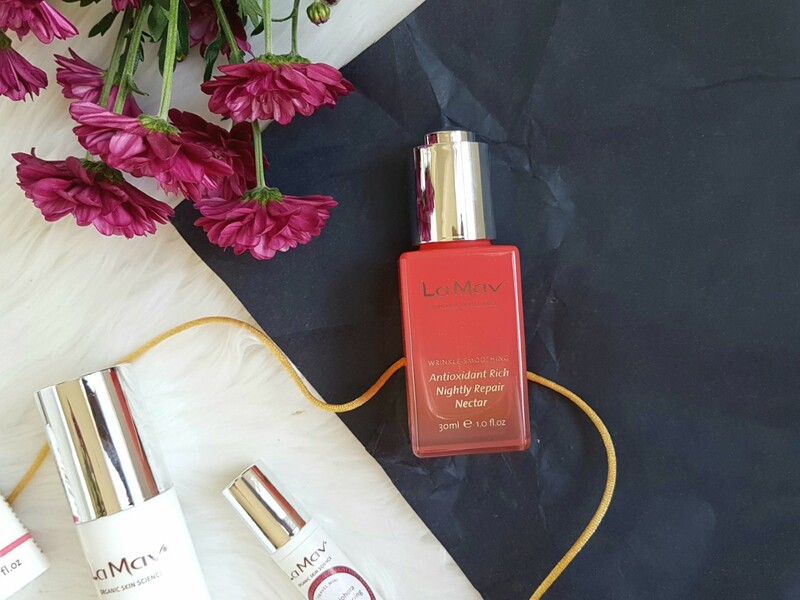 La Mav also have high performing anti-ageing mineral make up design to treat your skin whilst enhancing your natural beauty. They have also recently added to their wide range of high performing skincare and beauty products with a self tanning range which I adore! This company entertains the needs of all women and this new addition is no exception offering a golden glow with the benefits of actual SKIN CARE. It is multidimensional and truly works magic in every way, nourishing the skin whilst building a subtle glow without any of the adverse effects of a self tanner (zero streaks, zero dry scaly skin, zero patches - it's the bees knees I assure you). This truly is an honest brand with health benefits and preventative nourishment in each and every product. I will absolutely continue to use La Mav for a long time to come.